Asafoetida is made from a variety of giant fennel, where the sap is extracted and the root is dried, to create a vibrant yellow coloured resin, which naturally has a pungent smell, not unlike rotting garlic. Once it is cooked it comes ‘alive’ as the aroma changes and creates a beautiful substitute for garlic and onions. The Jain and Brahmin Indians, who do not eat either garlic or onions, consider Asafoetida as the most blessed of flavours, as it adds a similar taste and overtone. Small amounts of Asafoetida give a comforting onion-garlic flavour, which is especially good in stews, curries and vegetarian dishes. A ½ teaspoon of the powder can be substituted for 2-minced garlic gloves, or 2/3 of a cup of minced onion. Tiny amounts give a gentle lift to cheese dishes, egg, salad dressings and fish. It is a great substitute at dinner parties if you aren’t sure about your guests eating garlic or onions as this can be disagreeable to some, and substituting Asafoetida will stop the garlic and onion breath that everyone hates. Hing’ has been used since the days of the Roam Empire as a home remedy for indigestion. It’s anti-inflammatory and anti-oxidant properties relieve upset stomachs, intestinal gas, intestinal worms and irritable bowel syndrome (IBS) symptoms, like alternating diarrhea, constipation, bloating and abdominal pain. The presence of Hing secretes insulin which decreases your blood sugar levels and is packed with coumarins compound (which is a natural compound that has been found to have blood thinning, and anti-tumor activities.) that aid in improving your blood, thereby preventing blood clots. For people who don’t want to cook but want all the health benefits that asafoetida powder brings, its simple, drink a glass of water with a pinch of asafoetida powder and a hint of ginger powder which will improve the aroma, mix it till they both dissolve. It’s FODMAP friendly and that easy! 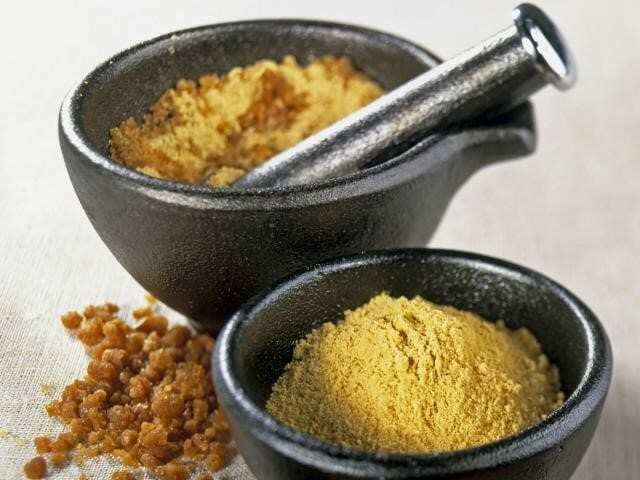 How to use Asafoetida powder in your everyday cooking. Asafoetida powder can be hard to find at the supermarket but can be purchased on our onlne store asafoetida powder. It is key to keep asafoetida in an airtight container away from light, heat and air which will also keep the strong sulfurous odor locked away. If stored correctly the powder will last over a year. Don’t let the smell frighten you because it will dissipate with cooking. Asafoetida should be used in minute quantities to add character, flavour and health benefits to your dishes. Any dishes where it would be too bulky or coarse to add garlic and onions, ideally asafoetida powder would be a fantastic alternative for that dish. If you don’t like the taste of raw onion in your salads, salsa and even salad dressing where raw garlic is used it gives the dish a gentle lift. Many Mediterranean dishes including tagines, stews, pickles and marinades where onions, garlic and leek are used, can be substituted for Asafoetida powder. By marinating vegetables in Asafoetida powder with salt and other spices, vegetables tend to drain excess natural water after their marinated, and are then ready to be roasted or fried for a delicious vegetarian dish. Meat and fish dishes can also be used with this method, it is great with red meats making it easier to digest. It is extremely common in Indian dishes such as Avani’s lamb curry, Indian dahl, Punjabi paneer curry and naan bread.These are a few of the recipes where asafoetida powder is used or where onion and garlic are present and can be replaced with as an alternative. The dishes listed above can all be found on the Spice People’s website, with easy and free user friendly recipes readily available.Cooking foods such as beans, cauliflower, peas, corn and potato which can cause flatulence and gastric problems, with the addition of asafoetida, can be a great option to enhance flavourand reduce flatulence often associated with beans and lentils. Want to try this amazing spice in your next dish? Click on the link to the spice people’s store where you can purchase asafoetida powder and check out our delicious curry recipes. Remember a little can go a long way, so start with a pinch (1/2 teaspoon) and keep adding gradually for a desired taste!